Helo! More Fab friday's inspirations -- more on tablescapes & decors. 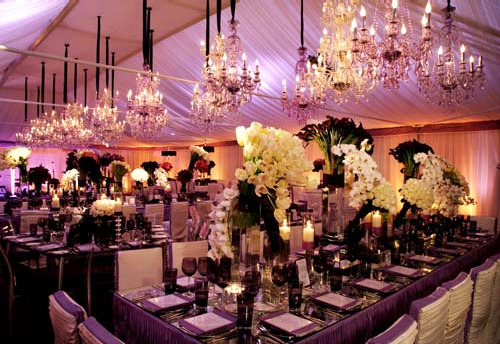 The landscape of your reception is influenced by what type of tables you use. Round or rectangular, they both have their merits, though my heart leans towards rectangular tables. One thing we know for sure, gone are the days where couples have uniform centerpieces upon their table. Take a cue from these fabulous tablescapes that employ centerpieces in alternating heights and runner style decor. 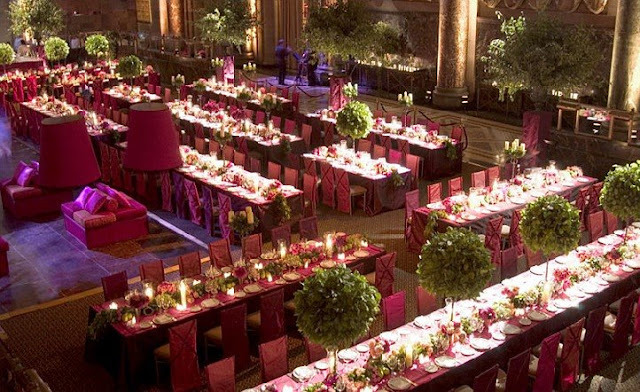 Wouldn't you agree this look much more interesting than the standard round tall centerpieces, not to mention being view and conversation friendly? A designer note - if you're in the mood to mix and match, keep your flowers uniform in each vase and play up the color by adding complimentary toned blooms along the length of the entire table. A bold wash of color catches the eye and looks oh so chic! 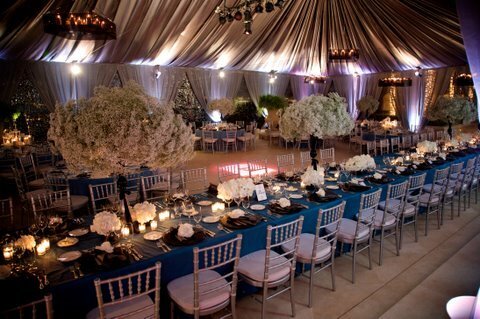 Images courtesy of Mindy Weiss, David Tutera Events, f ê t e, and Details Details.